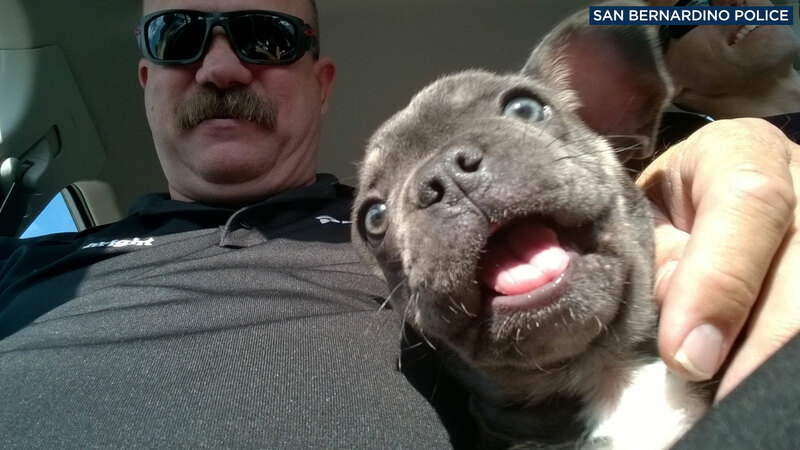 SAN BERNARDINO, Calif. (KABC) -- A puppy was brought back to his owners thanks to San Bernardino police detectives. Authorities said on Aug. 11, a puppy breeder and someone who wanted to buy a pet met in a parking lot of a grocery store in the city. The buyer then took the puppy, pushed the breeder and ran with it, authorities said. The victim was able to track down the suspect's address, although details of how were not provided pending the investigation. The victim called police and provided the address in Victorville. Detectives went to the location and found the puppy. They got him back and were able to reunite him with his new owners. Authorities said no arrests were made, but the robbery case had been forwarded to the San Bernardino County District Attorney's Office. CORRECTION: A previous version of this story stated the breeder stole the puppy, but it has been change to reflect that the potential buyer stole the animal.